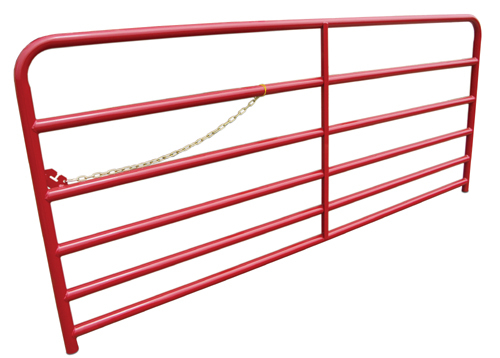 Cattle guards have been the staple of livestock control on the farm and ranch for decades. Gates were the workhorse of the farm, but the inconvenience to the user created the desire for something better; something that was automatic and didn’t require extra effort was needed for frequent access to grazing and high traffic areas. 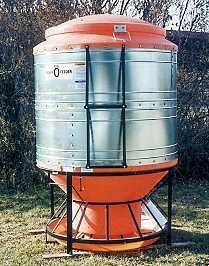 At the other end of the use spectrum, it was important that it be effective in remote areas as well. Typically these areas see infrequent traffic and use by people that may not related to the ranching operations and therefor not as responsible at latching gates behind them every time they accessed the area. Realizing that flat-hoofed livestock animals (read cattle) needed flat surfaces for secure footing, the round-pipe cattle guard was born. The traditional metal swing-gate did a fine job of keeping livestock contained in pastures, but required some discipline from those using them. 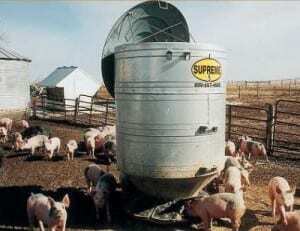 The inconvenience of stopping equipment, climbing down to open a gate while fending off any curious livestock was more than just a pain in the neck to users. They would also need to drive through the gate while keeping animals at bay, only to stop again to ward them off and close the gate behind them, making sure it was securely latched. 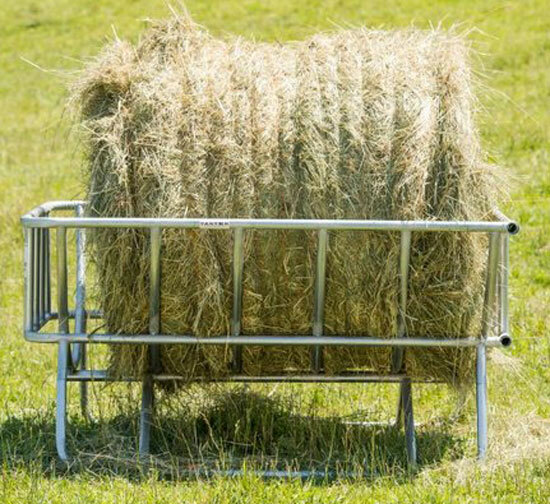 When making several trips a day through a pasture, or relying on those that needed to cross, but can’t seem to remember how to secure the gate behind them, the installation and use of a cattle guard can be a huge time saver! It also eliminates the possibility of an open gate to provide a more secure pasture for the herd. No more searching and rounding up escaped animals because someone left a gate open! Gates require that everyone who uses them be responsible enough to make sure they are secured after being closed. 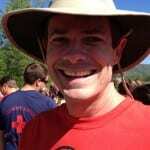 A lot of pastures are in remote areas and need to accessed by non-ranchers. Land access may be granted to companies that operate cell phone towers, oil wells or other facilities that require less than frequent maintenance by non-farm related personnel. The sporadic traffic by those not familiar with livestock, or maybe just more concerned with convenience than keeping animals contained, don’t always do the best job of keeping gates closed. Leaving them open after they enter a pasture because ‘there’s no cattle around’, only leads to animals sneaking out. With a cattle guard, there’s no more searching and rounding up escaped animals because someone left a gate open! 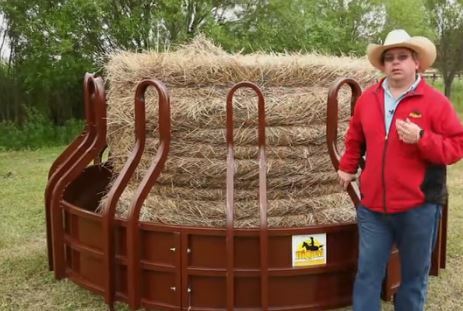 To effectively keep cattle in the pasture or grazing area where they belong without the use of a gate, a strong deterrent needs to be present and the cattle guard relies on two. The first line of defense is the creation of a visible barrier. The round top-rails create shadows and a perception of depth that cows pick up on as treacherous. In fact, there are studies that show when presented with highly contrasting lines painted horizontally across a roadway, some cattle will be spooked enough not to cross. The optical barrier created by the shadows of the rounded rails, when coupled with the actual physical depth of the vaulted area beneath it, creates a strong disincentive for further exploration and will usually turn a cow before they even consider stepping on it. When coupled with the visual perception of danger, the physical barrier of a Texas Gate usually creates an overwhelming urge to retreat. 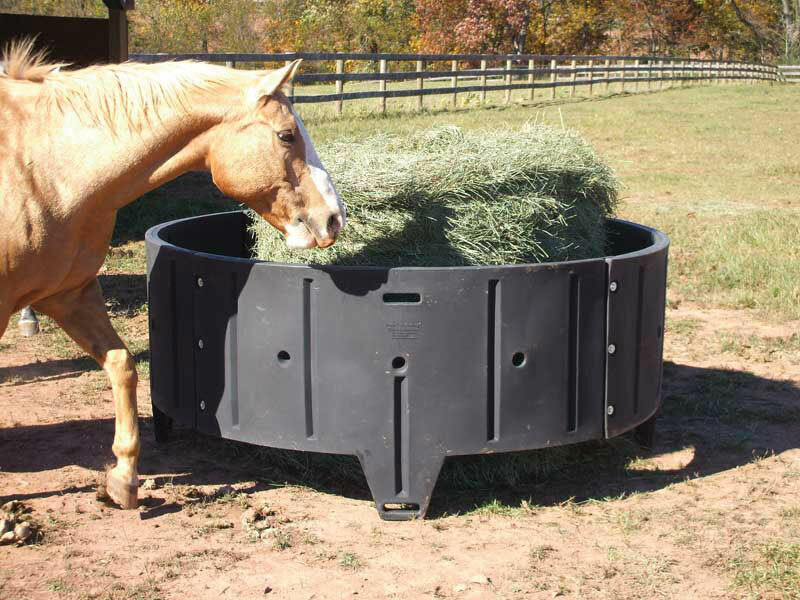 The most common guards are made with round top-pipe so that when a large, flat-hoofed animals steps on it, it creates such an unstable balancing condition for the animal, they instinctively realize it is unsafe footing and realize it is an insurmountable obstruction. They will turn away before putting any real weight on their first ‘test hoof’ and be strongly persuaded to never go near it again. Horses: With the convenience of using these round pipe crossings as effective barriers, there are also dangers present for other animals. The gaps between the top-pipes are excellent at creating unstable footing and an optical impediment to crossing livestock, but they also create a hazard for other animals. The most at risk are horses and I strongly recommend that they not be used with equine. A horse has smaller hooves and legs than bovine and their slender legs can slide down between the rails to the bottom of the vaulted area. This puts the most fragile part of the leg at risk of breaking and as a flight animal, when a horse begins to struggle to try and free itself, it can easily break it’s own leg out of fear. There’s nothing worse than seeing a horse stuck in a cattle guard and we do not recommend their use with equine animals – best to use a gate. 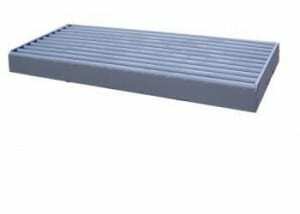 A cattle guard is not effective with non-hoofed animals such as dogs and cats or with smaller sure-footed hoofed creatures like goats and sheep. The soft pad of a paw allows the animals to walk across the rounded surface of the pipe and the smaller hoofed animals can achieve balance on top of the piping for an easy traverse. One exception we have seen is with deer. Even though they have smaller hooves, they do not like the unstable footing and will usually look for other paths or routes to roam. 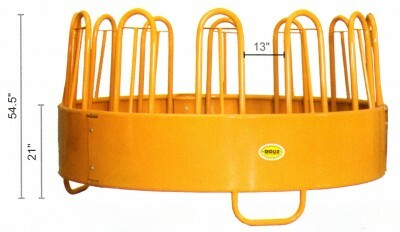 Due to their incredible jumping abilities, we recommend a 12′ or deeper guard to provide a sufficient deterrent. They are able to easily jump a 6′ or 8′ distance, but usually won’t attempt a 12′ or longer leap. 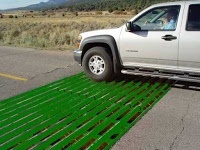 Whether a large farm and ranch operation with frequent traffic or a remote area with sporadic traffic, a cattle guard can be an excellent option to keeping your livestock where you want them, grazing and growing. 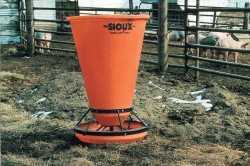 Keep in mind they don’t work for all animals, but are a terrific option for cattle and convenience. 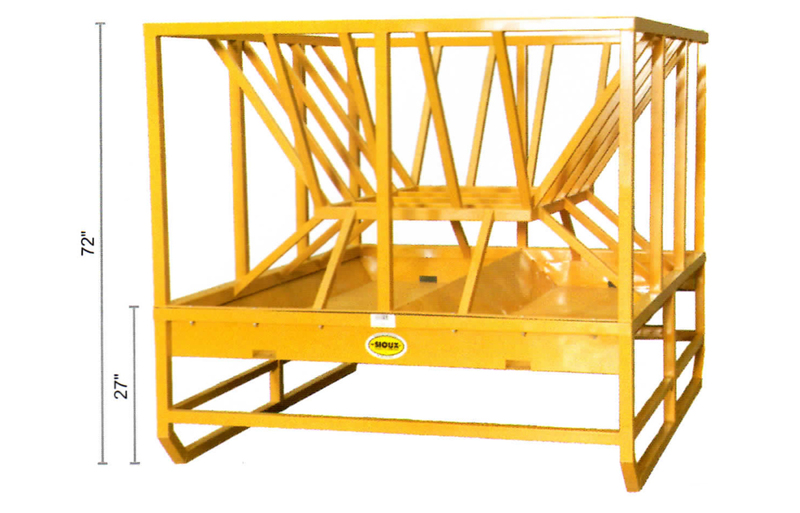 Visit Barn World for their large selection and ask their knowledgeable staff if a guard is right for your operation..